What’s in a label…. Psych Pop, Prog Rock, hell let’s try EPIC ALTERNATIVE GLAM PUNK GLITTER SPACE-ROCK. Work for you? The Roar Club & Club Biscuit have used special manipulative powers (begging… mostly) to pair these two mighty bands for a short (and sure to be unmissable) tour together. Calling in at Leicester, Bedford and London with a carousel co-headline set-up where we expect you all to be in fine voice and rug cutting form. 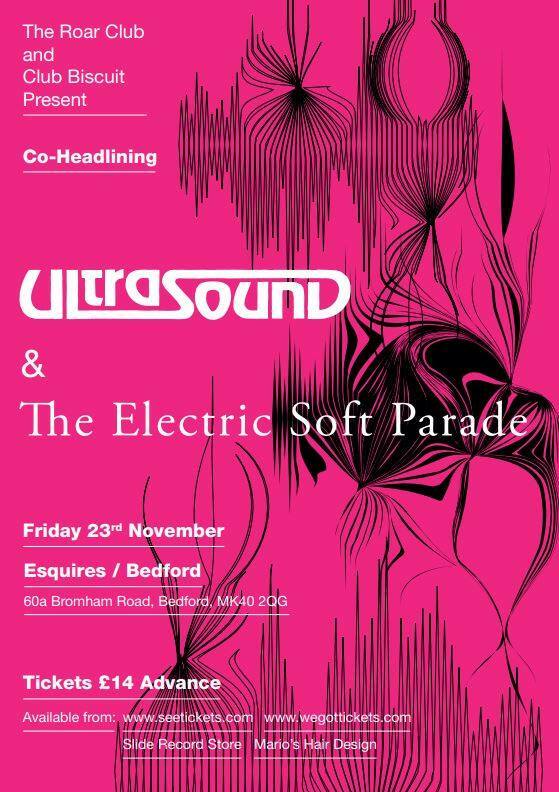 The Electric Soft Parade : Sound chameleons dipped in pathos, futurism and hooks big enough to catch whales.